Description: A chincoro, a fishing net, hung up to dry a long the beach on Lake Chapala in Ajijic, Mexico. The nets are carried out into the lake by hand-made row canoes and drawn back to the beach with their catch by hand. 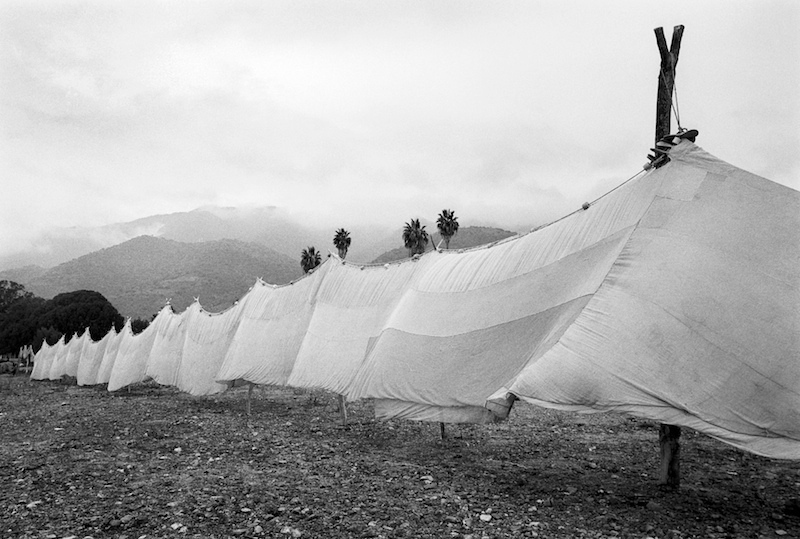 Caption: A chincoro, a fishing net, hung up to dry a long the beach on Lake Chapala in Ajijic, Mexico. The nets are carried out into the lake by hand-made row canoes and drawn back to the beach with their catch by hand.